It blogs my heart! - Mind the blog! This section doesn't necessarily have any links to education or teaching. I just want to share here some documents I've found and loved: photos, blogs, videos, games... Just enjoy! Just because I love the song and the music video. Just enjoy this awesome interactive movie! 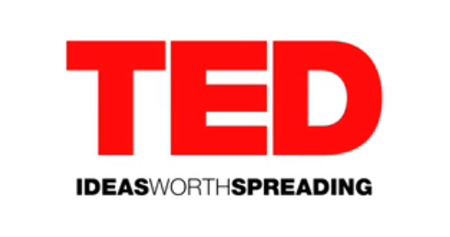 TED (Technology Entertainment and Design) is a global set of conferences owned by the private non-profit Sapling Foundation, formed to disseminate "ideas worth spreading." TED was founded in 1984 as a one-off event, and the conference was held annually from 1990 in Monterey, California. TED's early emphasis was largely technology and design, consistent with a Silicon Valley center of gravity. The events are now held in Long Beach and Palm Springs in the U.S. as well as in Europe and Asia, offering live streaming of the talks. They address an increasingly wide range of topics within the research and practice of science and culture. The speakers are given a maximum of 18 minutes to present their ideas in the most innovative and engaging ways they can. Past presenters include Bill Clinton, Jane Goodall, Malcolm Gladwell, Al Gore, Gordon Brown, Richard Dawkins, Bill Gates, educator Salman Khan, Google founders Larry Page and Sergey Brin, and many Nobel Prize winners. TED's current curator is the British former computer journalist and magazine publisher Chris Anderson. From 2005 to 2009, three $100,000 TED Prizes were awarded annually to help its winners realize a chosen wish to change the world. From 2010, in a changed selection process, a single winner is chosen to ensure that TED can maximize its efforts in achieving the winner's wish. Each winner unveils their wish at the main annual conference. Since June 2006, the talks have been offered for free viewing online, under a Creative Commons license, through TED.com. As of July 2010, over 700 talks are available free online. By January 2009 they had been viewed 50 million times. In July 2010, the viewing figure stood at more than 290 million, reflecting a still growing global audience. Just because I really love the idea and the site! Just enjoy and listen to the songs! 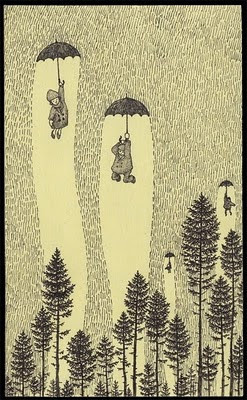 Well I'm now a big fan of Don Kenn's work. He creates his pictures on post-it notes and it's just awesome. 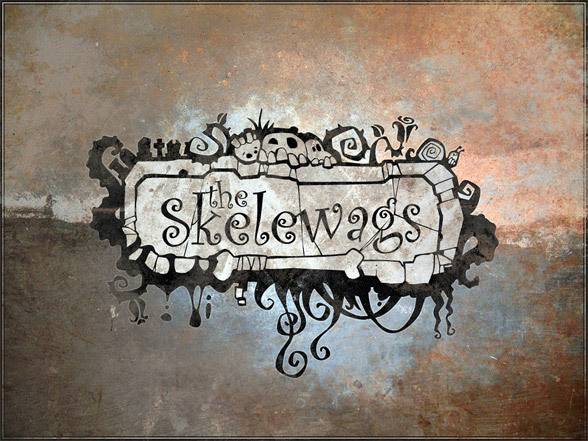 It's a blend of Tim Burton and Miyazaki. Just enjoy! Another street art artist I've just discovered. Really talented. I love his little skeleton characters! 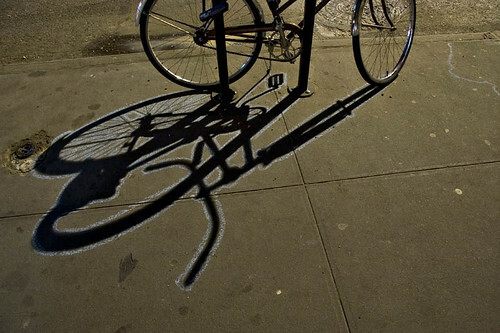 I've always loved his idea of painting the shadows in the street. Just enjoy! Mrs CIA sent it to me ... an excellent site to discover Bristol Street Art. Just AWESOME!!! I have a soft spot for Brizzle City and here's a link to a website which tries to map Bristol's street art! It should prove particularly useful if you plan a short visit to the town on a Banksy safari. And it will prove handy in planning visits of the different street art areas and discovering the tons of local artists. Wondering when to fly to Bristol? The Stokes Croft Streetfest is on May 22nd. That's definitely when you should go! A very funny site with photos taken in the street. The artist tries to use a mere object of the street to create an artistic work. This is street art! From me to you: GIF is not dead! I cannot help sharing the following blog: it's such a brilliant example of elegance, poetry, sensuality. The photographer, Jamie Beck, has created a wonderful place to post. Her pictures are incredibly stunning. I actually wonder how it works. It is based on the forgotten GIF format, but it looks so different from the old ones. If you have any idea please tell me!!!! It's useless, it's just a music video but an interactive one. Actually this is just beautiful... just enjoy!